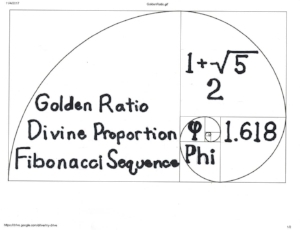 The Golden Ratio is a numerical sequence that was discovered during the Renaissance, and was applied to everything from the facade of the parthenon to Mona Lisa's face. It appears in nature in sea shells, and the curve of the human ear. The dimensions of your credit cards are these proportions. I'm not talking about the balance.